March came in like a lamb and went out like a lion, with a smorgasbord of gaming PCs, gorgeous laptops, and the most powerful graphics card in the world. March is a month for the world to lazily thaw out after the long, cold winter—and that goes doubly so for the PC industry. 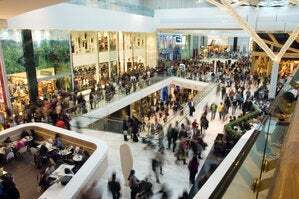 March isn’t anywhere near the crucial back-to-school or holiday seasons, and it’s far removed from blockbuster conferences like CES and Computex. This March didn’t get the memo. Spearheaded by a surprisingly hopping GDC, a veritable flood of new hardware hit the streets this month, from a slew of itty-bitty gaming PCs to peripherals a-plenty and laptops galore. But the biggest news this month is the dawning of a new era in gaming…and the end of another for computing. Join us for a look at March’s most interesting new PC hardware. 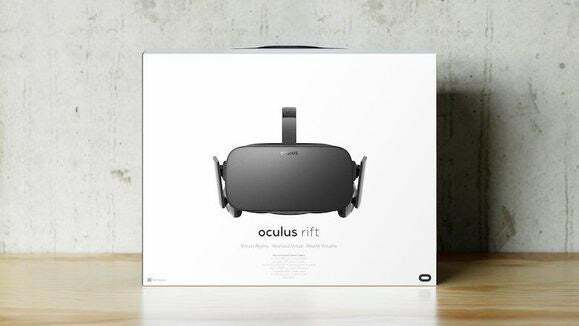 On March 28, virtual reality finally got real, as the Oculus Rift VR headsets landed in the hands of buyers, ready to open gaming to whole new virtual real. When you’re actually playing games, the Rift experience is nothing short of magical, truly creating a sense of “Presence” as you wander digital environments—though the first-gen Oculus experience has plenty of rough edges. Check out our Oculus Rift review for full details, and our list of the best VR games available at the Rift’s launch. But don’t rush out to buy one yet if you haven’t already—HTC and Valve’s SteamVR-powered Vive comes out in early April. 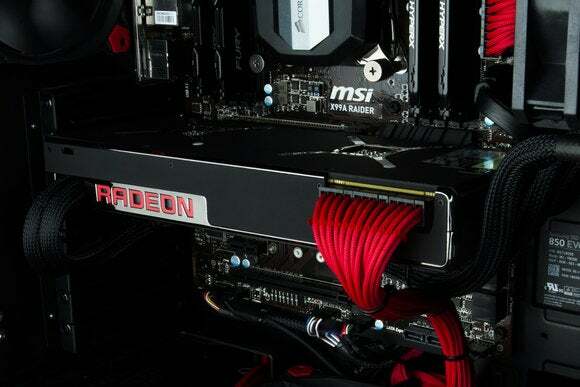 To coincide with the launch of the Rift and Vive, AMD took the wraps off the most powerful graphics card ever in March: the Radeon Pro Duo. This bad boy packs a pair of AMD’s cutting-edge Fiji GPUs—the same one found in its high-end Fury X—along with an integrated closed-loop water-cooling system, and it’s being pitched as the perfect option for virtual reality consumption and development. AMD stayed mum about more detailed specs, but look for the Radeon Pro Duo to cost $1,500 when it launches sometime between April and May. Hey, nobody said the most powerful graphics card in the world would be cheap. 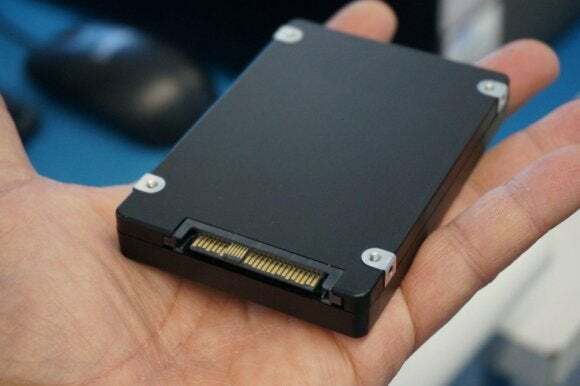 Speaking of big-time hardware, Samsung began shipping the most mammoth SSD ever in March. The Samsung PM1633a SSD crams 32 dies of stacked 256Gb V-NAND chips into a standard-sized 2.5-inch enclosure to offer a whopping 15 terabytes of solid-state storage. Let me say that again: It’s a freakin’ 15TB SSD. Don’t chuck your traditional hard drives in the trash just yet though. This behemoth is targeting enterprise data centers, and you can bet it costs an arm and a leg. Think eight-core processors are powerful? Ha! 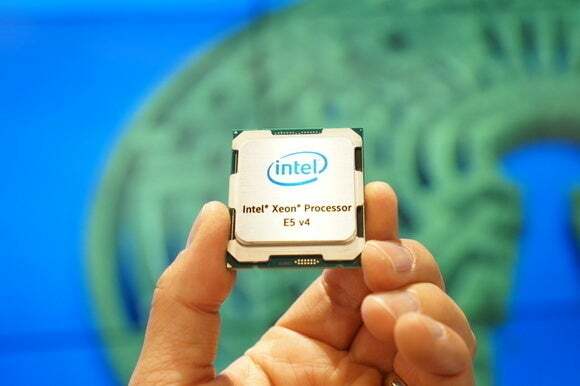 In late April, Intel dropped the Xeon E5-2600 V4, a monster of a chip with a whopping 22 Broadwell-based CPU cores. Whoa. When you take Hyper-Threading into account with those 22 cores, it amounts to no fewer than 44 threads in a single-socket computer. On a dual-socket machine, you’re looking at 88 threads in a workstation. Again: Whoa. The price? A cool $4,115. (Whoa.) That’s not surprising, as Xeons are typically found in business workstations, and businesses tend to pay a premium for powerful parts. But don’t be fooled: Xeons also sneak into high-end consumer builds, like the Falcon Northwest Tiki we reviewed last year. 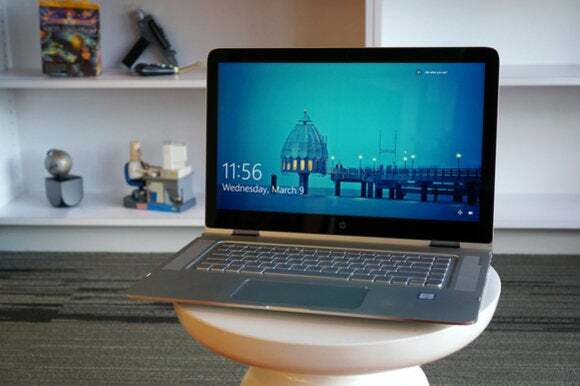 At $4,000, this one would only pop up in incredibly high-end prosumer PCs. Now for the bad news: Signs have been pointing to a slow-down of Moore’s Law for a few processor generations, but in March, Intel made it official. Thanks to the difficulties involved in creating chips with such infinitesimally small transistors—Intel’s moving into 10 nanometer nodes, far ahead of the rest of the industry—it’s abandoning its “tick-tock” manufacturing cycle for a three-year “Process-Architecture-Optimization” cycle. But when one door closes, another opens. 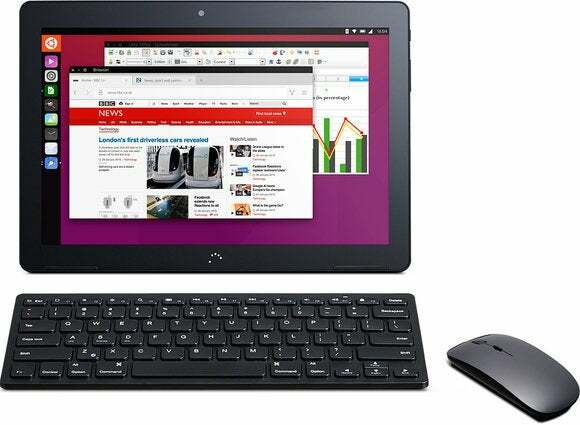 This month saw another revolutionary milestone reached as the BQ Aquaris M10 Ubuntu Edition—aka the world’s first Ubuntu tablet—opened for preorders after years of development on the underlying operating system. 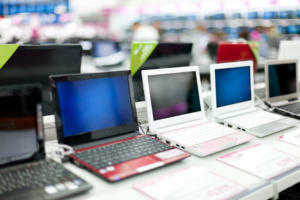 The big draw here lies in converging mobility with the traditional computing. By its lonesome, the BQ Aquaris M10 Ubuntu Edition runs Ubuntu’s mobile interface. But connect it to a keyboard and mouse and BAM! It switches over to the full-blown Ubuntu Linux desktop interface. Nifty. Canonical and Aquaris weren’t the only companies trying to expand computing to radically small devices in March. 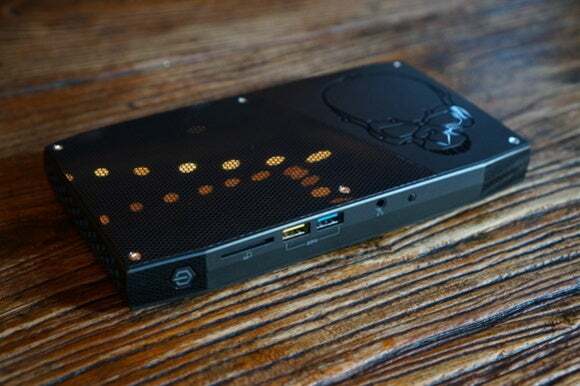 During GDC, Intel announced its first-ever gaming-centric Next Unit of Computing (NUC). The “Skull Canyon” NUC packs a Core i7-6770HQ processor and the company’s most powerful integrated graphics into a pint-sized PC adorned with Intel’s aggressive skull-logo branding. Serious gamers will want to stick with discrete graphics cards, but this compact computer is beefy enough to run Just Cause 3 at 30 frames per second at 1080p resolution. That’s roughly comparable to consoles. Not too shabby! Asus took the opposite tack with its tiny VivoMini PCs. Rather than relying on Intel’s integrated graphics, the new model revealed in March offers a discrete Nvidia GT 930M graphics option. That’ll also get you console-level graphics quality in many recent PC games, especially if you dial down the visual settings or resolution. 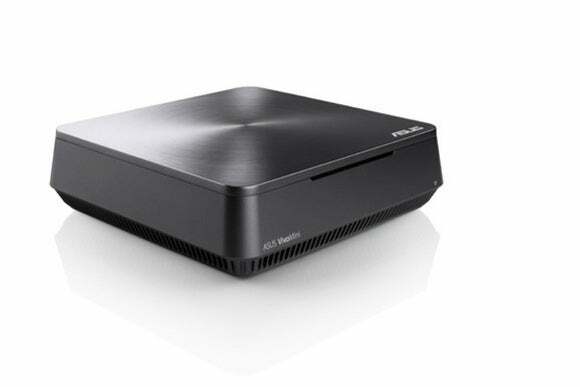 Size-wise, the new VivoMini is slightly larger than most Intel NUCs, but far smaller than Mini-ITX PCs. You can even slap the entire computer on the rear of your monitor using a VESA mount. 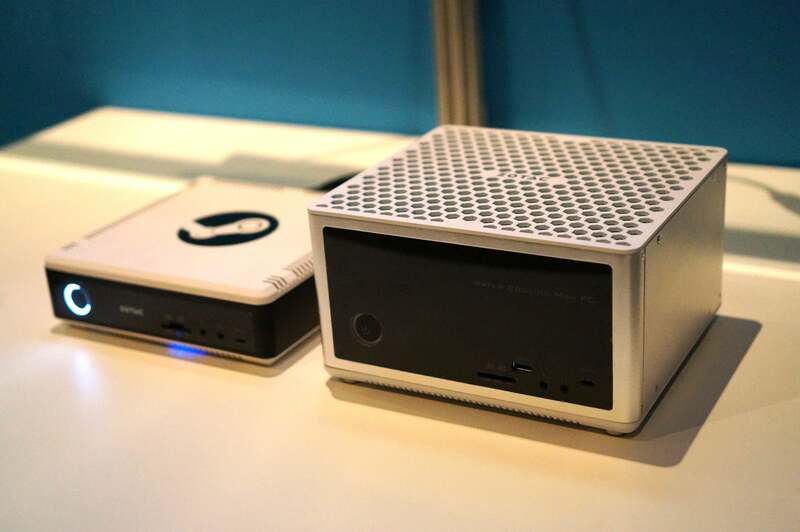 Zotac’s Magnus EN980 mini-PC (pictured at right) is a bit larger at 9x8x5-inches, but it puts that space to good use. Hidden inside this tiny toaster-sized box lies an Intel Core i5-6400 and a GeForce GTX 980, making this bare-bones system a rockin’ option for folks who want to get into high-end gaming or virtual reality, but don’t have a lot of space to spare. 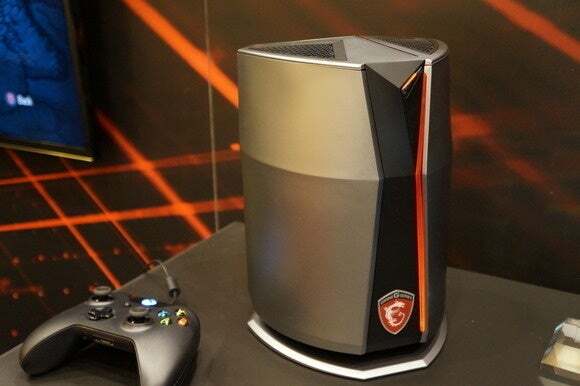 MSI’s Mac Pro-like Vortex mini gaming PC follows the same train of thought, but cranked to 11. No less than up to an Intel Core i7-6700K, 16GB of RAM, and not one, but two GTX 980 graphics cards call this tiny cylinder home. Wow. 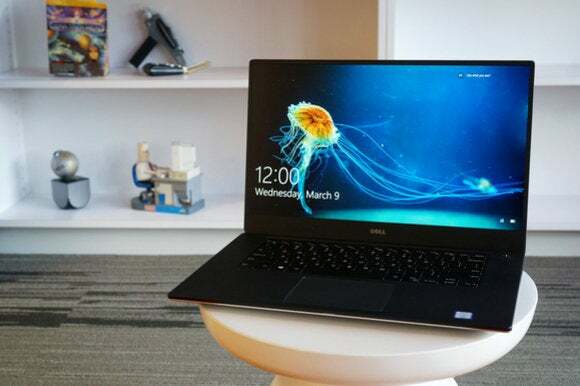 Continuing with the “Wow,” if you’re in the market for a 15-inch laptop and can splurge on a $1,500 model, look no further than the Dell XPS 15, which is basically a larger, more powerful version of the Dell XPS 13, aka our favorite Ultrabook around. This svelte laptop has the smallest footprint of any 15.6-inch notebook to ever cross our lab and it’s blisteringly fast. What’s not to like? HP’s Spectre X360 15T, which costs $350 less than its Dell counterpart, takes a different approach. This laptop still screams premium when it comes to overall features and design, but it packs more modest internals for folks willing to leave some performance on the table in exchange for keeping a few hundred dollars in their pocket. Do the math and you might find it right up your alley—it’s worth a good look as a solid overall laptop. The Acer Chromebook 14 carries that idea to extremes. Being mostly web-only devices, Chromebooks don’t demand an extreme amount of processing power, and Acer’s first 14-inch Chromebook sticks to the same modest internals as most Google-y laptops. 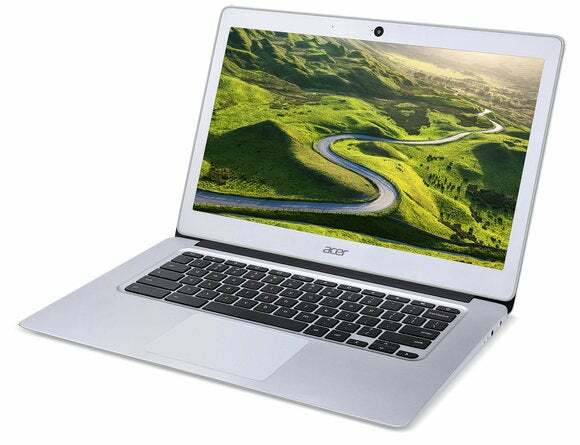 But Acer’s loaded this puppy with premium features rarely found in Chromebooks, like an all-aluminum chassis, USB 3.1 ports, a 1080p IPS display, and a massive 14 hours of claimed battery life. Even better? All that bling still doesn’t break the bank. The Acer Chromebook 14 only costs $300 for a decently equipped model. 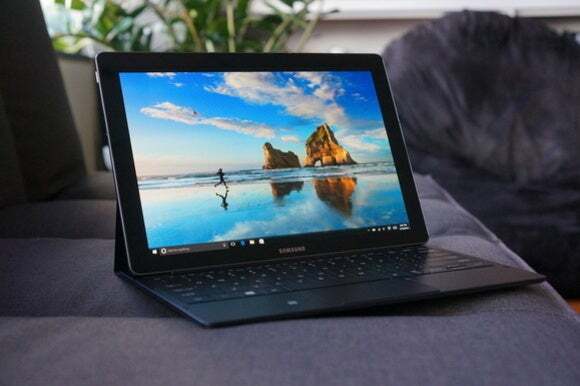 Speaking of affordable alternatives, the $900 Samsung Galaxy TabPro S is basically a Surface clone rocking a lower cost, a drop-dead gorgeous OLED display, and a more modest Core m3 processor than Microsoft’s tablets. That energy-efficient chip helps the slate slim down to a barely there 1.53 pounds, with an incredibly slim profile to match. And you don’t have to shell out another $100-plus for the keyboard like you do with the Surface tablets, either—it comes included. It’s an awesome little convertible. 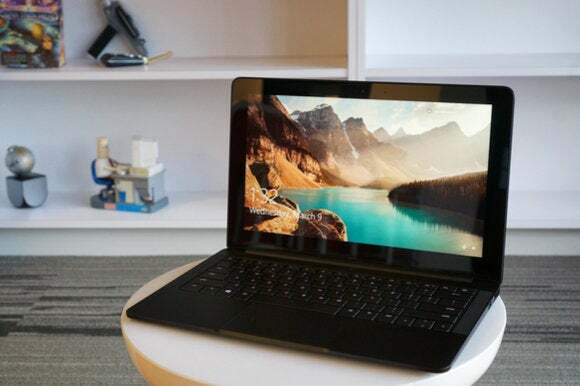 Both of Razer’s laptops stirred up some news this month. 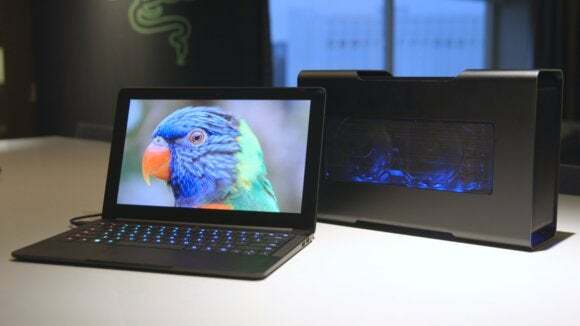 First, the company updated its Razer Blade gaming laptop with more modern components for the new year. The 2016 edition is mostly an iterative update, but it shaves $400 to $500 off the sticker price compared to last year’s model—always a nice touch. 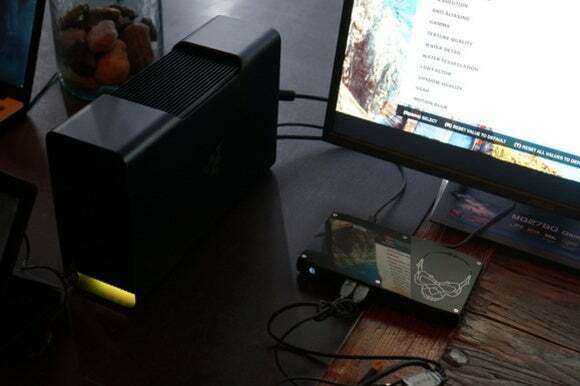 …the Razer Core, Razer’s new external graphics card dock that lets you use desktop GPUs with your laptop. 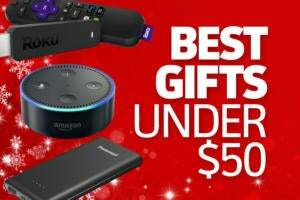 The price is a little steep at $500 not including a graphics card, but that’s cheaper than building a whole new gaming rig for home use. More interestingly, this Thunderbolt 3 enclosure isn’t limited to Razer’s laptops. You can use it with any laptop or mini-PC that adds some technical bits to support it. Intel’s Skull Canyon NUC can already be powered up with the Core, and Razer’s enclosure is the first to support AMD’s XConnect technology, which aims to make external graphics as plug-and-play as possible. Man, Razer was busy this month. In addition to all the new and refreshed laptop gear, the company released a pair of updates for its popular BlackWidow lineup of mechanical keyboards. The 2016 edition of Razer’s BlackWidow Ultimate offers minor changes over its 2014 predecessor, but it’s still a solid choice and all-around improvement. We dig it! 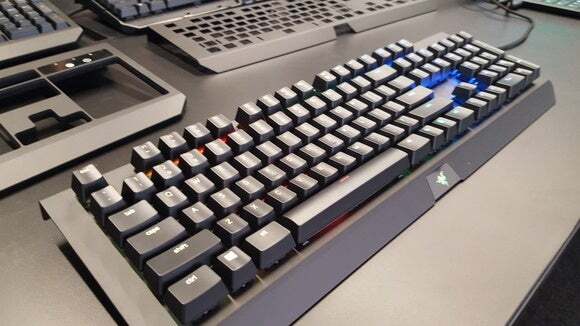 But more interesting is the BlackWidow X (pictured), a new keyboard that features a stripped-down look with exposed keys, similar to Corsair’s K70 keyboard. You can get it equipped with RGB backlighting and Razer’s own switches, or spend a bit less and get it loaded with single-color lighting and Cherry MX Blue switches. 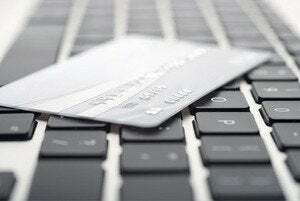 If you opt for those latter options and ditch the 10-keys, you can pick up one for a mere $60. That’s a hell of a deal. After a long stretch of keyboard manufacturers rolling their own switches, are we finally seeing a return to the Cherry MX switches everyone knows and loves? 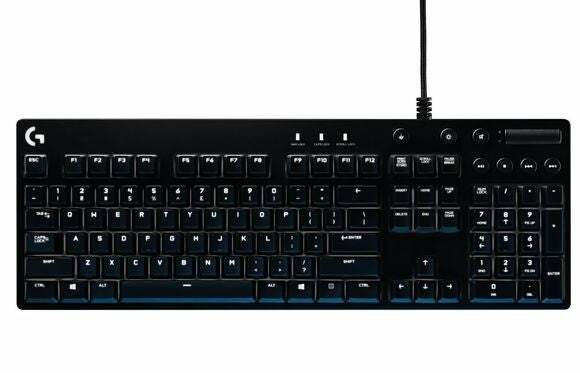 Logitech joined Razer in bringing Cherry MX switches back with the G610, a mechanical keyboard that offers Cherry Brown or Red switches and monochromatic backlighting. It features the same clean design as Logitech’s G810, but actually sells for a bit less, at $120 instead of $160. Color us intrigued. What dark magic is this? 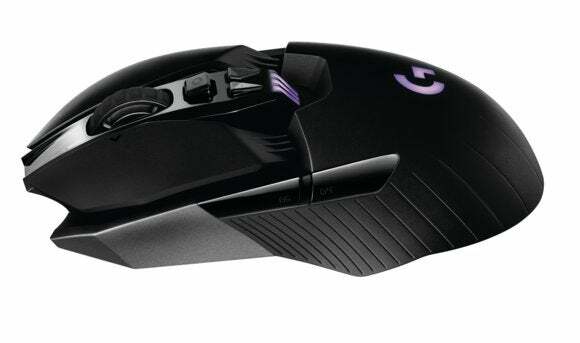 Logitech says its new G900 Chaos Spectrum offers faster performance than popular gaming mice like the Razer DeathAdder and SteelSeries Rival 300 despite being wireless, albeit to the tune of a mere three to five milliseconds. But still, if Logitech’s claims wind up being accurate—we haven’t reviewed the mouse yet—that’s a serious win for gamers who loathe wires. 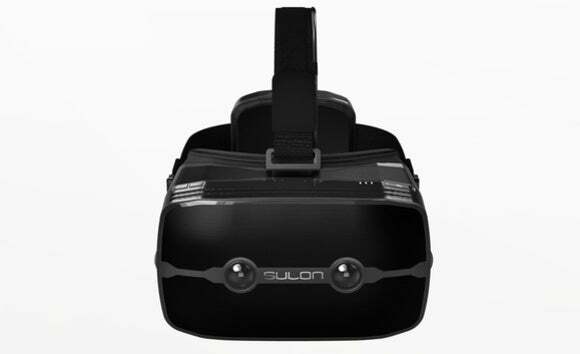 Wireless hardware also reared its head in the form of the Sulon Q, a new VR/AR headset that ditches wires by essentially stuffing an entire PC on the front of your face, powered by an AMD FX-8800P APU with eight integrated Radeon R7 graphics cores. Our Sulon Q coverage has full details if you’re wondering about the tech specs, but we’re not yet convinced that the device will wind up being more than vaporware. The reason the HTC Vive and Oculus Rift tether you to your PC is because VR gaming takes some serious graphical firepower, and while Sulon says the Q will offer console-level graphics, we’re skeptical. Plus, VR headsets are notorious for getting pretty hot and stuffy; building a whole PC into the headset itself is likely to exacerbate the issue. There’s no doubt the Sulon Q’s an intriguing product, but time will tell if it’s a viable one. If you’ve got $22,000 burning a hole in your pocket, Microsoft has a wall-sized Windows 10 tablet to sell you. 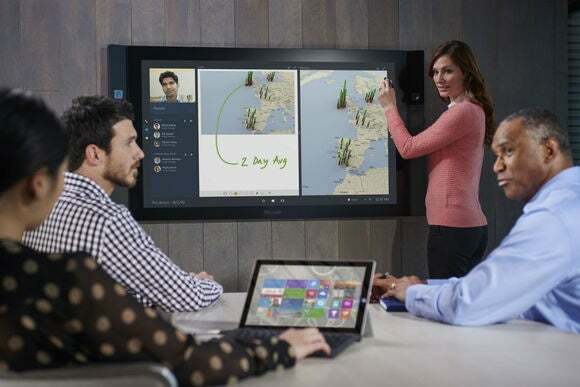 The Surface Hub finally went on sale this month after its introduction all the way back in January 2015. That $22,000 price tag is for the mammoth 84-inch version; Microsoft also offers a 55-inch version for a comparatively paltry $9,000. 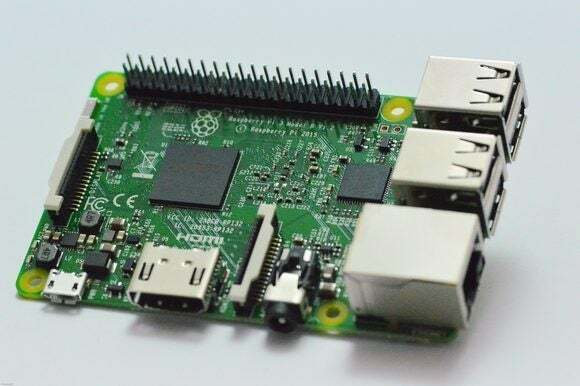 On the opposite end of the spectrum, there's the Raspberry Pi 3, which technically snuck in on the last day of a Leap Year February, but missed last month's PC hardware roundup because of the timing. This supercharged retuning of the legendary maker-centric micro-PC still costs the same $35, but offers native Wi-Fi and Bluetooth capabilities along with a massive 60 percent claimed performance increase over the Raspberry Pi 2, making it the first Pi that can truly function as a PC replacement. Wondering what you could do with this li'l wonder? 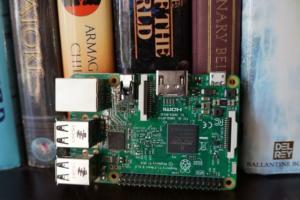 Check out our guide to 10 surprisingly practical Raspberry Pi projects anyone can do. Let’s finish basking in pure hardware glory on a high note! After Intel shut down the unofficial overclocking of cheaper, non-K-series Skylake chips earlier this year, ASRock figured out another workaround that lets you level up your low-cost processors. Unfortunately, this one requires a new motherboard rather than a mere BIOS update. 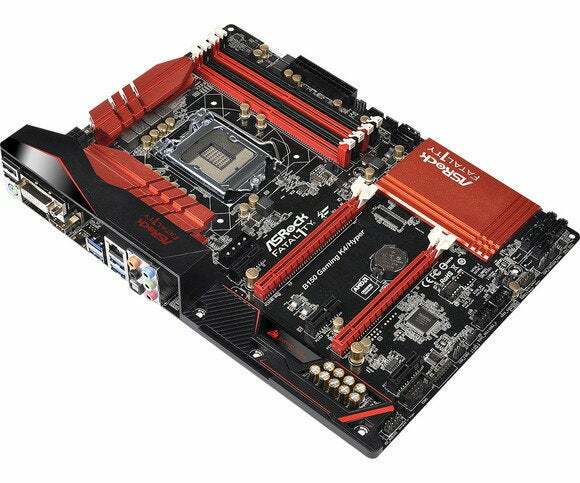 The company announced two motherboards—Fatal1ty H170 Gaming K4 Hyper and Fatal1ty B150 Gaming K4 Hyper—that use a separate, external base clock-generator to give overclockers more control over their systems. 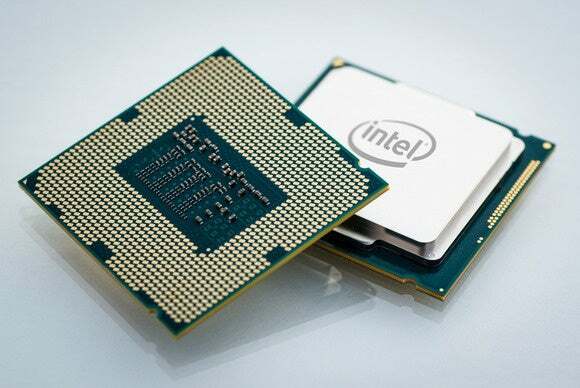 The extra hardware lets you tweak the processor’s clock in increments of 0.0625MHz, giving you everything you need to fine-tune your system’s speed with precision—and beyond the limits set by Intel.